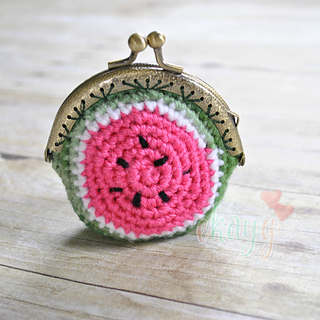 This adorable watermelon clutch is a cute accessory for any watermelon lover (or Dirty Dancing fan!). 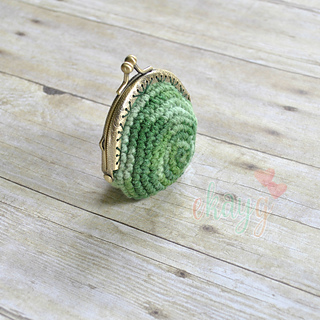 It is a very simple pattern, great for beginners, and attaching to the purse from is easier than you’d think! All text and images are owned by Erin Greene of ekayg, copyright ©2017. Images may not be used by anyone else without express written permission. If used, the ekayg watermark must be visible. 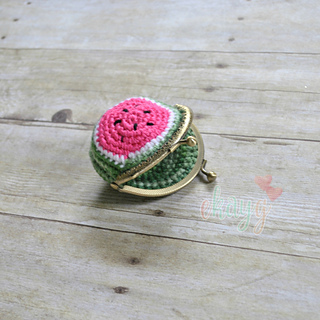 Pattern may be shared, but NOT be copied and passed off as anyone else’s work. Pattern credit must be linked back to ekayg. Finished products made from this pattern may be used for sale.